Staff were really helpful and very nice. Accommodating is really beautifully built and maintained well. Views are fantastic. Local area is great to explore. Excellent restaurants within easy walk / drive. Very friendly and accommodating staff! Wonderful room and lovely and delicious breakfast. The staff was friendly and helpful. The breakfast buffet had local specialties. The infinity pool boasts a beautiful setting, though we swam more in the sea (no beach, but there is a swimming area from the rocks). The room was spacious and clean. everything was wonderful. Staff was amazing, friendly and informative. 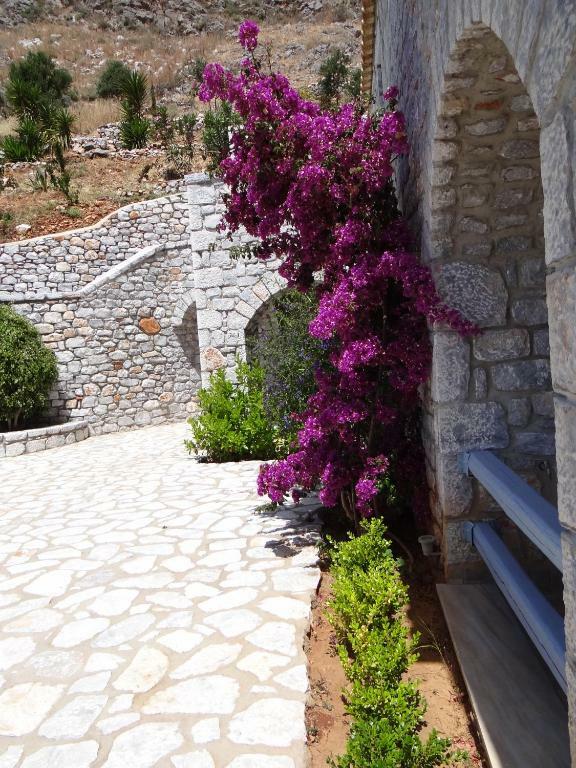 Beautiful architecture with exceptional vistas of the nearby mountains and Limeni Bay. Excellent location with quick drive to nearby sandy or rocky beaches with clear azure waters anywhere you looked. 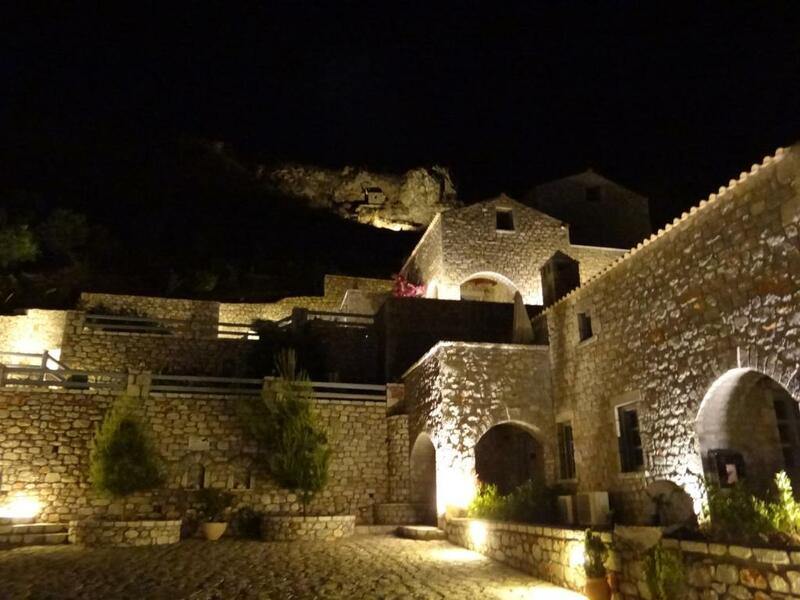 Areopolis and the Municipality of Mani (a historical area with long tradition of warriors) has unique small villages with many homes built with own towers that provide a clear perspective of its history of warriors that lead Greek revolution and wars against the Ottomans (Turkey). Everything! Great staff, perfect location, beautiful suite and many thanks to Stavroula for making sure we had a great stay! We loved the place! 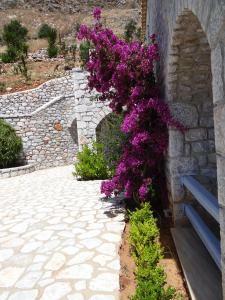 Very friendly - amazing hosts - special thanks to Stavroula & the young lady at the breakfast! The guy of the evening shift was very smiley as well. Large & clean rooms - breathtaking views! Close enough to main attractions of the area - the same time very private & quiet hotel. Great hotel, beautiful location, fantastic room, breakfast and staff. Everything was great. We had a nice studio, on the last floor, very quiet and isolated for swimming pool area and music. Perfectly clean. Very confortable bedding. Helpful staff. Great breakfast and breakfast area. Nice swimming pool area. It was the most expensive hotel of our trip and we did not regret it !! Everything met our expectations. We had a nice room near the swimming pool. The bar was always open for a drink or a snack at reasonable prices. Clean sun beds at the pool with great (quiet) music. The most special is the extremely friendly staff, really rarely seen that people are so helpful. A place to relax. We will gladly return again! 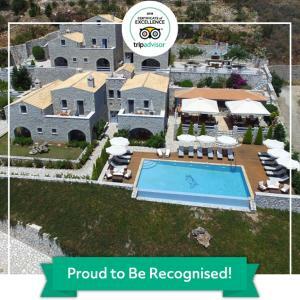 Lock in a great price for Εn Plo Luxury Suites – rated 9.4 by recent guests! 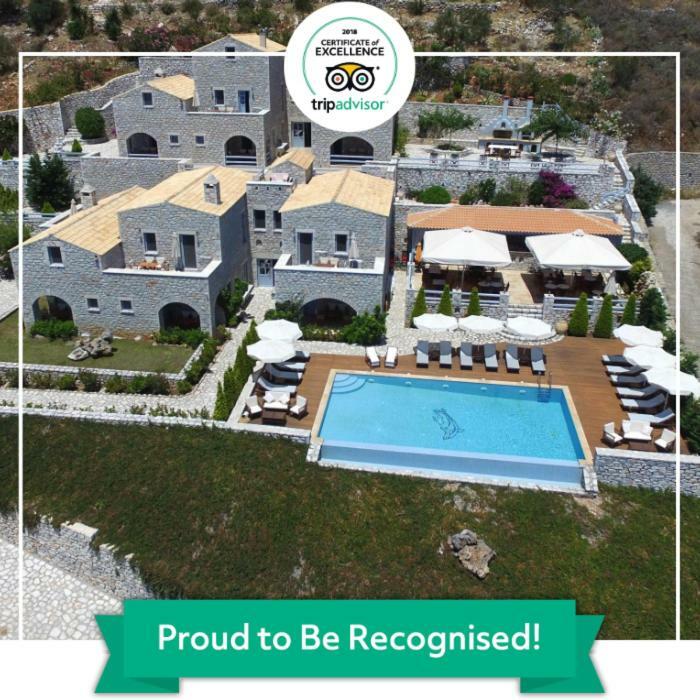 Εn Plo Luxury Suites is located in Areopolis in the Peloponnese Region and offers a swimming pool with pool bar and a sun terrace with sea view. Sparti is 27 mi from the property and Kalamata is 28 mi away. Free private parking is available on site. The accommodations is air conditioned and is equipped with a seating area, dining area, kitchen and plasma TV. All units feature a terrace with sea views. An oven, toaster, coffee machine for espresso and filter coffee, and electric kettle are included. 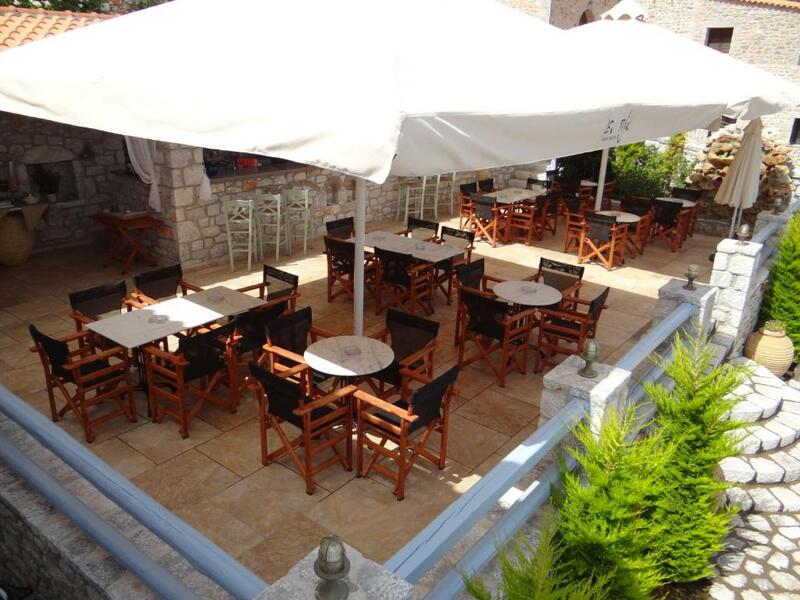 Εn Plo Luxury Suites features free WiFi throughout the property. Guests can enjoy fresh snacks and cocktails at the on-site bar. The property’s staff can arrange for massage sessions, hairdressing, manicure-pedicure and organized boat trips. You can engage in various activities, such as scuba diving, horseback riding, and hiking. 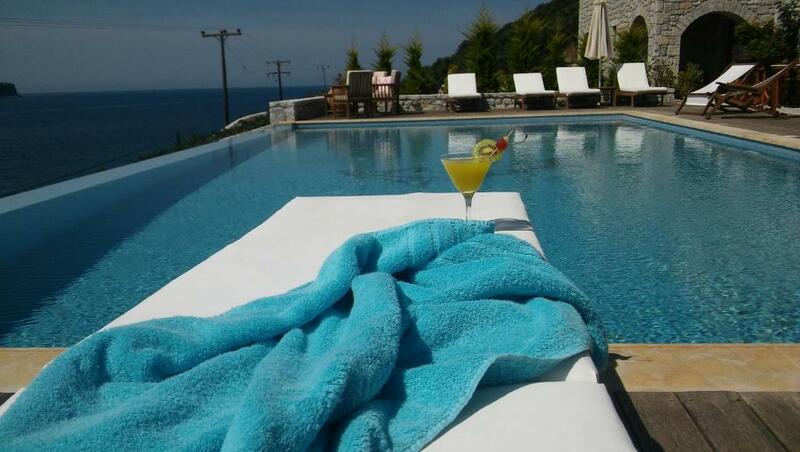 The nearest airport is Kalamata Airport, 32 mi from the property. 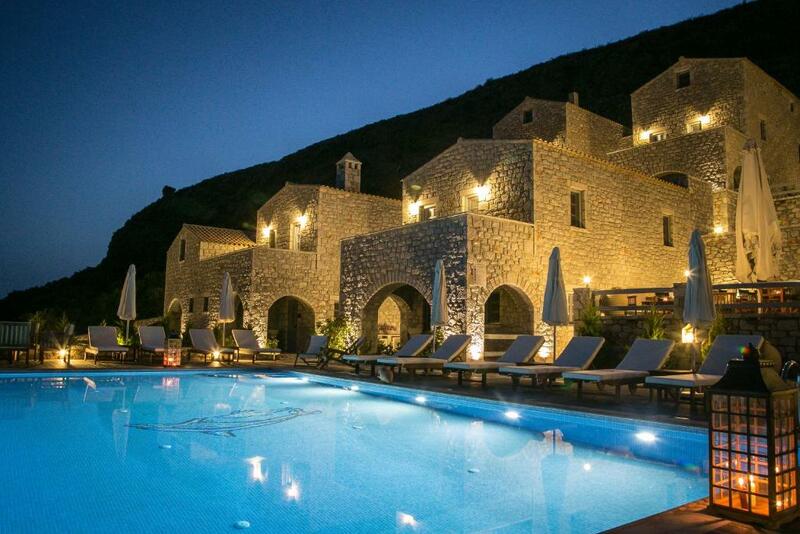 When would you like to stay at Εn Plo Luxury Suites? This double room has a terrace with sea view , a fully equipped kitchen and a one double bed. This apartment features 1 bedroom, a fully equipped kitchen and a living room with 2 sofas. It opens out to a terrace with sea view. Please note that children above 10 years old can be accommodated. This apartment features 1 bedroom,a fully equipped kitchen and a living room with 2 sofas. It opens out to a terrace with sea view. This apartment features a terrace with sea view, sofa and a fully equipped kitchen. Please note that the loft has an internal sloping roof so it may not be recommended for very tall people. This apartment has a toaster, stovetop and fireplace. Please note that this apartment is suitable for guests with mobility issues. Η ΣΠΟΥΔΑΙΑ ΙΣΤΟΡΙΑ ΤΗΣ Η ΕΠΙΒΛΗΤΙΚΗ ΦΥΣΗ ΤΑ ΞΕΧΩΡΙΣΤΑ ΗΘΗ ΚΑΙ ΕΘΙΜΑ. House Rules Εn Plo Luxury Suites takes special requests – add in the next step! Εn Plo Luxury Suites accepts these cards and reserves the right to temporarily hold an amount prior to arrival. Please note that all room types are located at different levels and access is provided by stairs. Please inform Εn Plo Luxury Suites of your expected arrival time in advance. You can use the Special Requests box when booking, or contact the property directly using the contact details in your confirmation. Lovely building design and pool. Great view! We were above the pool and pool bar. There was music playing until 10 pm. I would advise asking to be away from the pool if you want a quiet time. It was the most expensive hotel we stayed in on the Peloponnese and while it is lovely, it seemed a bit overpriced. Room size for families, limited breakfast. Breathtaking view, staff, swimming pool. actually we did not miss anything! First of all - amazing staff - super friendly and extremely helpful!! They made our stay an even greater experience! The hotel itself is one of a kind! The whole facility is simply amazing. The breakfast is hosted at the pool area, with a wonderful view on the sea! Our suite was amazing, super spacious and had everything we could ask for - including something to make greek coffee :) and a bottle of wine to welcome us!